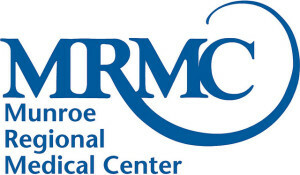 Munroe Regional Medical Center has told Florida hospital regulators that it is ending its effort to build a trauma center. The 421-bed hospital notified the Florida Department of Health that it will not formally apply for permission to build. The deadline for formally notifying the state is April 15, and Munroe previously had indicated an interest in pursuing the idea and contacted the DOH in writing as to its intent. Munroe’s president and CEO did tell the Ocala Star-Banner that it made little sense to build a trauma center at Munroe since Ocala Regional Medical Center, located just across the street from Munroe, already has a Level II trauma center. Munroe also is partners with UF Health Shands Hospital, which operates a Level I trauma center in Gainesville. According to state guidelines, two centers are allowed in Trauma Service Area 6, which covers Marion, Hernando and Citrus counties. ORMC already has one. Citrus Memorial Hospital in Inverness has also indicated interest in establishing one. Hospital Corporation of America owns Ocala Regional and West Marion Community Hospital and it leases Citrus Memorial. The plans for the trauma center were halted because it was not believed that the plans would be approved. Instead, Munroe will focus on improving its emergency department, other hospital areas, and its satellite facilities. The main focus will be expanding its ER. The hospital had about 110,000 emergency room visits last year, and that figure includes visits to Munroe’s stand-alone Timber Ridge emergency facility on Southwest State Road 200 and the hospital’s pediatric emergency department. The expansion of the emergency room will be part of the $150 million improvement package that Community Health Systems promised to make as part of its 40-year lease agreement. CHS leases Munroe from the Marion County Hospital District, which owns the facility on behalf of the public. The improvement plan will also likely include a new wing of private patient rooms, which would help accommodate the growing number of patients entering the hospital through the ER. CHS began its lease of Munroe almost a year ago and owns or leases 208 health care facilities in 29 states. CHS was required to submit its $150 million improvement plan to the hospital district by last October. Upon receipt of the plan, district trustees complained that what they received was far too vague and incomplete. According to reports, the hospital needed more time to deliver a more thorough master facilities plan, and that the October deadline was never practical. It is unfortunate that these plans have ceased for the time being. This new trauma center would have provided much faster service to accident victims in Marion and Citrus Counties as currently they are often taken to Shands in Gainesville or left to wait in line at Ocala Regional. If you have been injured in an accident, please call a Citrus County Injury Lawyer at Whittel & Melton at 352-726-0078 or contact us online to learn more about your ability to recover for the harm you have suffered. We serve all communities in Citrus County and throughout Marion and Hernando Counties as well.